The conversations in customer networks are happening every day, and their impact on any business or organization cannot be ignored. This fact poses great challenges for managers seeking to shape the image of their brands, products, and organizations. But it also highlights an opportunity to better connect with customers by participat­ing in these digital conversations. This participation may be limited, conﬁned to listening in and answering questions when asked. Or it may be extremely active, focused on building new relationships with and among customers and leveraging them to beneﬁt brands and add value to the business. Listen and Learn: Monitor and learn from the online conversations your customers are already having about your business and your industry. Join the Conversation: Respond to issues, answer questions, and make friends by joining the give-and-take of online conversations. Provide a Forum: Create new places for your customers to express their views and connect with each other around shared interests. Ask for Ideas: Solicit ideas from customers to tap into the wisdom of the crowd and show that you care about what they think. Integrate Their Voice in Yours: Bring customers’ stories into your own content and marketing. Let Conversations Add a Layer of Value: Make the conversations among your customers an added source of value for your business. By examining these six approaches and how they have been used successfully by a wide range of organizations, we can gain in­sights into how becoming a part of customers’ conversations can help any business to better connect with its customer network. The ﬁrst thing any company should do as part of a connect strategy is to begin listening to the conversation in customer networks and learning from it. Monitoring online conversations that relate to your brand or business can begin quite simply. Free tools such as Google Alerts (for news), Technorati (for blogs), and Seesmic Desktop (for status up­dates on Twitter and Facebook) allow you to set up automatic searches of social media on key terms. Google Trends allows you to measure the frequency of search terms on Google. This reﬂects far more of your audience (because more people use Google search than blog or tweet) and can provide a good measure of the zeitgeist (a coffee retailer might learn: Are more customers looking for “espresso” or “cappuccino”?). Whichever tool you use, key words should be chosen to monitor social media conversations about your brands, products, businesses, and senior leadership, as well as conversations about your competitors. Key conversations to listen for include customer compli­ments, complaints, or problems with your business, as well as comments that provide evidence of the impact of your marketing campaigns. You will also want to monitor topics related to your business category and the key issues that you solve for your customers (for example, discussions of “ERP software,” if that is what you provide to clients) in order to hear the conversations going on at the point of need for your potential customers. For organizations with many cus­tomers and a great many mentions in social media, paid services from such vendors as Visible Technology and Radian6 provide sophisticated tracking with analytics that quantify measures including volume of comments, share of voice online, sentiment (positive versus negative comments), associated words (what words does your brand name frequently appear next to), and even inﬂuence and impact (by measuring which customers have the most visibility and “reach” online). With tools of this kind, social media monitoring can yield detailed maps of your brand’s image and show how ideas and opinions are propagating within your customer networks. Once monitoring is established, it is important to be ready to capture ideas, respond, and act on insights. MasterCard has generated ideas for sweepstakes prizes and creative elements of its ad campaigns from listening to conversations in customer networks and discovering what people were most interested in. General Mills introduced its successful line of gluten-free baking products after listening to the conver­sations of customers who were avoiding gluten because of Celiac disease or other reasons. When side effects for Pﬁzer’s Champix smoking cessation pills were discussed in the press, the company considered a costly ad campaign as a response until social media monitoring revealed that customer sentiment toward Champix remained positive. On the other hand, when Tropicana launched a major redesign of its orange juice cartons in 2009, the response from their most loyal and inﬂuential customers online was deafening. The sleeker new design was judged “generic,” “ugly,” even “stupid.” Tropicana promptly reversed course and announced it would return to the classic packaging that featured the image of a straw piercing a ripe orange. Networks can supplement, or even take the place of, much traditional market research, typically at much less cost. Pharmaceutical companies and academic research labs have purchased data from the PatientsLikeMe social networks of disease sufferers, after it has been aggregated and stripped of personally identifying information (the data is shared with consent of the site’s members). Data from patients’ on­line conversations about symptoms and treatments can provide insights available nowhere else and lead to new hypotheses for drug research. In other cases, pharmaceutical companies have used the networks to quickly recruit subjects for clinical trials. With as many as 5 percent of all U.S. patients for a given chronic disease already enrolled on the site, the population and data sets are larger than anything available anywhere else. 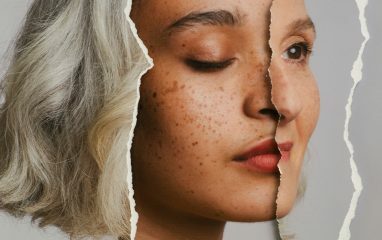 Drug maker UCB helped set up a new group within PatientsLikeMe for epileptics in order to gather data about compara­tive effectiveness of different therapies, understand quality of life for patients, and measure drug safety and side effects. (The site is open to all epileptics, not just those on UCB treatments.) On Sermo, a social network for physicians, pharmaceutical companies pay for anonymized polling comments and data from doctors and for the opportunity to survey doctors directly within the social network. The opportunities for social media as a market research tool are still being uncovered. Today, any company should start by listening to its customer networks before spending money to hire a focus group. Once they are listening, businesses need to be ready to join in on the conversation as well, responding where needed, and taking advantage of the opportunity to make new connections and reach customers. There are several ways to join the conversation. I am a frequent user of Google Maps, so I was frustrated one day when I found that it was no longer reloading properly in my Firefox Web browser, even after rebooting. I was not optimistic about getting help from Google, so instead I turned to Twitter, which I had recently begun using. Perhaps my contacts there would have an an­swer or at least share my outrage. “Why the #$%! does Google Maps not work on Firefox?? Try changing the address and hitting return to refresh—nothing. Can we start a revolt?” I tweeted. Two hours later, I received a reply in Twitter, not from my followers, but from an ac­count named @ﬁrefox_answers. The message helpfully suggested that it might be a conﬂict with the Skype plug-in and told me where to switch that off in Firefox. I was stunned. I immediately tried the solution and reported back that it didn’t work. Firefox suggested that I test my other plug-ins and see if turning any of them off ﬁ xed the problem. Within minutes, I had identiﬁed the conﬂict: a recording plug-in for RealPlayer that I had added the week before. I eagerly tweeted this news back to Firefox, which thanked me and said it would share the information with others. In thirty minutes I received another tweet, this time from RealPlayer, saying that it was looking into the faulty code. Obviously, Firefox had found my initial com­ment because they had someone monitoring the universe of Twitter (probably via a free application). With a few brief 140-character mes­sages, the company had found an unhappy customer (before I even reached out to them! ), identiﬁed a product bug to be ﬁxed, solved my problem, and turned me into a loyal fan who would go on to share this story with many others. This is what customer service looks like in the age of social media: proactive (be on the lookout), genuinely helpful (no shrugging off the customer with “it’s not our problem”), and in a human voice (no bureaucratic rules or ofﬁcious language). Companies including Microsoft, General Motors, Marriott Hotels, and Wells Fargo bank have all incorporated social media response protocols into their customer service and communications. Even airlines have found that they can win over some of their dissatisﬁed customers with this approach, rather than inspiring them to compose musical satires on YouTube. With Wi-Fi access now available to passengers on its ﬂights, Virgin America has its Web marketing team monitor Twitter for in-ﬂight customer complaints, forwarding issues on to public relations, to guest care, and to onboard crews as appropriate. Providing helpful information and customer care on Twitter is quite visible too, especially if the company has a lot of followers (Southwest and JetBlue each have more than a million). So the good service offered to one customer may be seen by many more. How does an airline get a million followers on a social net­work? Isn’t that kind of popularity supposed to be reserved for movie stars? Joining the conversation in social networks is not just about lurking in the background and responding to customer complaints. Businesses large and small can use the most popular networks to cre­ate a visible presence online beyond their own Web site and make friends with new and potential customers. Many organizations, from politicians and bands to mass market brands, have developed a major presence on Facebook. Companies often attract fans by offering incentives to get customers to “like” them online. Keeping customers engaged, though, takes attention. Best practices include: a regular ﬂow of creative content (comments, videos, and images), active discussion (on discussion boards and in wall comments), and a fun and casual tone to match the medium. Starbucks, for example, posts interesting status updates every couple of days that cover a mix of coffee topics, as well as reviews of music and books sold in their stores. Each post receives thousands of comments by their Facebook fans. Adidas attracted many friends on Facebook with a contest to win an MTV house party. After the contest, it featured a stream of content from the party on its page (blog posts, photos, and party video). Red Bull displays the brand’s edgy humor for its young target audience by offering funny apps on its Facebook page, such as one that lets fans rate the phone calls of drunk callers to Red Bull’s phone line. All of this content and interaction beneﬁts from the viral element of Facebook: every time a customer “likes” Starbucks for a cof­fee discount or comments on its music reviews, “likes” a video they see on Adidas’s page, or uses a humorous app on Red Bull’s page, this interaction appears in the customer’s personal Facebook feed and is seen by all of their friends. When you see a friend interacting with a brand, you can click and become a friend of the brand as well. Star-bucks has found that for every four customers who interact with one of their content items, three new friends join. A single post announcing a mini-Starbucks card drew thirteen thousand comments and “likes” from friends: thus, one post could yield nine thousand new followers. Joining the conversation on social networks is not just about content, prizes, and links, however. It is also about online interaction with customers: a genuine dialogue based on listening, responding, and exchange. First-time author Stephenie Meyer reached out to her fans this way when they started the ﬁrst fan Web sites for her book Twilight, a horror-romance between Bella, a teenage girl, and her vam­pire schoolmate Edward. Meyer answered readers’ questions about Bella and Edward on MySpace. She responded to creative writing on fan ﬁction sites and ﬁlled in backstory details on her characters for their Twilight Lexicon Web site. She created a personal Web site with pictures of herself with fans at book readings and with her family at home. She even used customer networks to arrange “I Love Edward” parties and to organize a real-life high school prom for Edward and Bella, attended in full costume by hundreds of her fans. Readers responded enthusiastically, traveling thousands of miles to participate in events, joining online discussion groups in the tens of thousands, introducing Meyer’s books to their friends, and championing each new release on Amazon. This network of enthusiastic customers helped buoy Twilight and its three sequels to such success that in the ﬁrst quarter of 2009, they held all four of the top sales spots on USA Today’s best-sellers list, accounting for one in seven books sold that quarter. Given the impact of word of mouth in customer networks, customer service is an essential part of any digital communications strategy. This means responding to complaints and issues that you overhear (as Firefox did in my case) and more than that; it means letting customers know they can connect with you online about con­cerns, questions, or issues. Many companies use dedicated Twitter accounts for cus­tomer service as an ancillary to phone and email. This approach was pioneered by Comcast (which needed some better buzz in social media after its sleeping technician video). Frank Eliason, senior director of Comcast Customer Service, leads their effort, monitoring an onscreen scroll of inquiries directed to his account @comcastcares or to the public Web. If the customer is venting (rather than asking a question), Eliason’s ﬁ rst reply may be just “Can I help?” or “We try.” Then, if the customer opts to continue, he will get the details to pur­sue the problem. That may involve checking a customer’s modem remotely, clearing up problems with a collection agency, suggesting a change of settings that may solve a customer problem, or sending a technician to the customer’s house. This approach has earned Eliason more than twenty thousand followers on Twitter and helped to reshape the image of his company online. Eliason is known to answer tweets on his BlackBerry from the beach. But when he announced he would be on vacation for a family event, several customers spontaneously volunteered to answer other customers’ questions during his day off. Municipal governments are following suit as well. San Fran­cisco has launched an @SF311 channel to allow citizens to ﬁle complaints or questions about city services via Twitter. The city of Boston has created an iPhone app called Citizen Connect that allow citizens to snap photos of potholes, grafﬁti, and illegal trash violations in their neighborhoods and upload them directly to the appropriate city agency. Start-up SeeClickFix has created a simple Web platform that allows municipal governments anywhere in the country to collect in­formation like this from citizens’ phones or computers. All these con­nections increase government’s responsiveness while ensuring that requests are submitted in a centralized and effective fashion. Of course, one of the friendliest ways to get customers to join you in conversation online is to make them an offer—whether it is a discount, a product giveaway, an invitation to an event, or just ﬁ rst dibs on a new menu item. Dell has sold over six million dollars of excess inventory through Twitter, simply by announcing sale items on its @DellOutlet account to more than 1.5 million followers (not bad for a free direct-marketing channel). In Los Angeles, a traveling taco cart called Kogi Korean BBQ sends out a steady stream of updates, via its blog and Twitter, to let customers know where it will be parking each night to serve its unique Mexican-Korean fusion fare (kimchi hot dogs and spicy pork tacos, anyone?). Kogi’s followers show up by the hundreds each time it parks, spread the word on their own social media, and help the truck ﬁ nd new locations on the occasions when it is asked to move. With more than forty thousand followers, the customer community has contributed names for the taco trucks and even pro­duced a music video, “Chasing the Dragon,” on YouTube. The online buzz has landed Kogi’s founder, Mark Manguera, several investment of­fers and a chef’s position at a nonmobile restaurant, L.A.’s Alibi Room. When asked why he robbed banks, Willie Sutton famously said, “Be­cause that’s where the money is.” For many businesses pursuing a connect strategy, it makes sense to go where your customers already are. That is: Facebook, Twitter, or whatever the next popular social media platform may be. 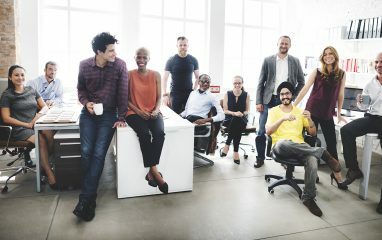 But in certain cases, organizations may also beneﬁt from creating their own unique forums for customer connection. Allowing comments on the content of your own Web site is the ﬁrst step to hosting a conversation on your own turf. For corporate blogs, this turns a channel for broadcasting updates into a forum for genuine discussion with customers. Media companies are also discovering the beneﬁts of allowing users to comment on their sites. In the Toronto Globe and Mail’s Cover It Live feature, professional reporting on breaking stories is combined with video and real-time comments from readers. Coverage of the conﬁrmation hearings for Supreme Court Justice Sonia Sotomayor on newspaper sites like NYTimes. com gave us a ﬁrst peek of what may be the future of online newspa­pers: displaying live video streams (CSPAN-style) alongside detailed articles by reporters and near-real-time comments from users. Another valuable type of forum that businesses can provide for customers is aggregated ratings sites. Yelp has become one of the most popular applications for the iPhone by collecting ratings of local businesses from bars and restaurants to optometrists and fabric stores. Users can log in on their phone or computer to add their own ratings and read others’ reviews. CitySense allows users to share their votes for the hippest nightlife in cities like San Francisco, so that savvy lo­cals and out-of-towners can log in via their phones to ﬁnd the place to be. Vitals.com offers users a rating system for medical doctors by combining empirical data with consumer reviews. With the growing trust that customers give to the opinions of other customers, forums like these will continue to add value and attract users. Before the introduction of the Ford Fiesta in the U.S. market, Ford Motor Company invited one hundred social-media-savvy young consumers to test drive the car for six months and gave them a forum to share their uncensored opinions: FordFiestaMovement.com. More than four thousand consumers applied by submitting online videos, and winners were chosen for their passion, story-telling ability, diversity, and sociability—that is, the number of friends in their social net­works. “Agents” included California actress Olga Kay, twenty-six, who posted photos of herself inside the hatchback, and Andy Didorosi, twenty-two, an aspiring race car driver and automotive journalist from Michigan. They were given monthly “missions”—drive a friend to the ocean who’s never been before, drive your Fiesta until it runs out of gas, and so on. The missions stimulated stories to tell in blog posts, tweets, and videos. The results were positive (most thought the Fiesta was a great car for the price), authentic (with some genuine sugges­tions to improve the car), and exuded personality. Ford’s goal was to spur interest in Generation Y consumers (born 1979 to 1995), who are hard to reach by television but make up 28 percent of U.S. drivers. The campaign resulted in 3.5 million YouTube views, 2.7 million Twitter impressions, and an astonishing 38 percent awareness of the Fiesta among Gen Y consumers. Getting these customers familiar with the Fiesta before its launch also yielded valuable insights into how the target audience would perceive the car. Other companies are connecting with customers by providing them a forum to discuss shared interests and lifestyles rather than speciﬁc brands and products of that business. Automotive site Edmunds.com hosts the online forum CarSpace, where auto enthusiasts create proﬁles, join discussions, vote in polls, and upload photos and video, all around car brands, companies, models, and engineering. Nike hosts its Ballers Network, which basketball fans use to organize neigh­borhood pick-up games. Using a Facebook application or a mobile Web site, Ballers Network members can scout out courts in their cit­ies, connect with other “ballers,” and manage their own league. Online stock trading service TradeKing hosts the Trader Network, where participants can see what securities are being traded that day, follow the picks and performance of top traders, share advice, and ﬁ nd out why fellow members made speciﬁc trades. In each of these cases, network members are discussing the category (cars, basketball, or stock trading), not the speciﬁc company hosting the site. But creating the forum allows the business to become an important part of their cus­tomers’ networks and lives. When a major public event is particularly important to custom­ers in a business’s network, it can leverage the excitement by providing a temporary forum for customer communication. CNN partnered with Facebook to create an online event around the television broadcast of the 2009 U.S. presidential inauguration. More than eighteen million viewers watched live video coverage at CNN.com. They logged in using their Facebook accounts and posted up to three thousand comments per minute in a sidebar that allowed them to chat live with their friends. 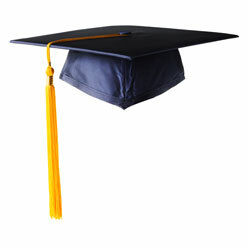 Other major live televised events—such as sports games and awards ceremonies—may provide similar opportunities. One in seven TV viewers of the 2010 Super Bowl were online while watching the game. That capped a year in which the Winter Olympics and awards shows like the Grammys and Emmys all saw marked increases in television audiences, many of whom were having simultaneous conversations via Twitter and Facebook. In other cases, the online forum may be tied to an event that the business organizes itself. In 2008, Nike sponsored the Human Race, a ten-kilometer run held in twenty-ﬁve cities worldwide, from Chicago to São Paulo. Nearly eight hundred thousand members of their nikeplus.com network participated in 142 countries, many of them running on their own and logging their times online to compete in the event. For businesses that don’t already have a network like nike plus.com, Facebook offers a widget that any company can place on its own site to host customers’ Facebook chat alongside the company’s own live-streaming content. Creating a private forum or social network can be a way to invite select customers to provide feedback and feel that they have a hand in shaping your business. Mercedes Benz invited members of its Owners Club to join the GenerationBenz social network. Customers can create personal proﬁles, invite friends, upload photos and video, and interact with one another during special sessions, such as a sneak peak at an upcoming car model. The Intercontinental Hotels Group runs three private communities for members drawn from its loyalty program. Using surveys and threaded discussions, these customers are asked what is most important to them during hotel stays and what they think of new planned promotions. The customer insights that are generated are integrated into Intercontinental’s strategic planning, creative briefs for marketing and advertising, and employee training programs. Community members have also shown marked increases in their likelihood to recommend the brand to others. If you do plan to create your own forum for your customer network, make sure that customers have a compelling reason to come to your site and keep coming back. Bear in mind that they probably have already taken the time to create a proﬁle at one or more large public networks. The motivation to join your smaller forum may stem from a true passion for discussing your products and news (such as Bravo’s hit television programs), or it may be an enthusiasm for the speciﬁc product category you are in (such as stock trading). If your network is based around a product category, make sure you are not replicating a site that already exists. It is also critical that you devote enough resources to launch­ing a network and have realistic expectations of its results. Keeping customers coming back to a stand-alone forum requires constant in­vestment in fresh content, discounts, and offers, as well as careful moderation of comments (to establish norms and preclude spamming and nasty behavior). In measuring the participation of your custom­ers, keep in mind Jakob Nielsen’s “90–9–1 Rule” (discussed in chap­ter 2). Roughly 1 percent of the participants in a social media forum will contribute signiﬁcant content (posting blogs, uploading videos, or initiating discussion topics), another 9 percent or so will post com­ments on that content, and roughly 90 percent of users will simply read and be inﬂuenced by the discussions of the others. Last, you should recognize that one of the beneﬁts of running your own forum is that it will tend to attract your most loyal, engaged, and high-value customers. TradeKing has found that although only 5 percent of its members participate in the Trader Network, they are responsible for 10 percent of the trades and commissions. Among those participants, the traders who network more actively in the com­munity also have signiﬁcantly higher balances and funding; they are TradeKing’s “high-value clients.” Hosting your own forum can be a way to identify your highest-value customers so that you can more ef­fectively market to them and deepen your relationship with them. Asking customers or employees to share and vote on ideas for new products, services, and business ventures is another valuable approach to a connect strategy. Because customers and employees may have different levels of knowledge about your business, they may be best served by different tools for idea generation. Starting in 2007, Dell’s IdeaStorm forum began asking customers to submit, discuss, and vote on new ideas for Dell products and services. In its ﬁrst three years, IdeaStorm generated more than ten thousand ideas, eighty thousand comments, and half a million votes cast by customers. Dell implemented hundreds of the ideas, ranging from a SupportPro service program for business customers to a DataSafe service that allows customers to remotely access and share data online for a fee. When teachers suggested that Dell offer a cheap, kid-tough laptop for the education market, Dell launched its Latitude 2100 netbooks. Starting at under four hundred dollars, they come in a rubberized case with optional ﬂash memory (sturdier if you drop it), a vent-free bottom to protect the netbook from drink spills, optional carrying strap, touch screens for younger children, and cases in ﬁve bright primary colors: School Bus Gold, Chalkboard Black, Ball Field Green, Blue Ribbon, and Schoolhouse Red. The netbooks even sport a network activity light, so that a teacher can tell when students are going online in class. An IdeaStorm platform was used in a very different product category to run the MyStarbucksIdea.com Web site, announced by Starbucks founder and CEO Howard Schultz in 2008. The site en­courages customers of the coffee chain to offer ideas on how to im­prove the Starbucks experience: from coffee ﬂavors to packaging to the in-store and online music selections. MyStarbucksIdea.com taps into three key ways that customers connect online: sharing ideas, dis­cussing and commenting on ideas, and voting. Within the ﬁ rst hour, three hundred customer ideas were posted; within the ﬁrst week, a hundred thousand votes had been cast; within the ﬁrst year, more than seventy thousand ideas were shared. An algorithm on the site pushes the most popular ideas to the top based on votes received, how recently the votes were cast, and the volume of comments. Forty-eight Starbucks employees (“idea partners”) help moderate the discussion, prune out duplicate ideas, and take those with the most votes back to their own departments to advocate for their consideration. Dozens of customer ideas have al­ready been implemented, and many more are under way. These in­clude: free Wi-Fi in stores for customers; a Starbucks music application for the iPhone; reusable “splash sticks” to plug the hole in drink lids and prevent sloshing; the return of the Yukon Blend coffee ﬂavor; a Mini-Starbucks purchasing card; and a more natural food menu with fewer artiﬁcial ingredients, no high-fructose corn syrup, and more healthy foods like egg whites, multigrain mufﬁ ns, and whole fruit. Starbucks and Dell do not offer their customers any rewards or compensation if their ideas are used, but they don’t have to. Customers are usually happy to share ideas and try to improve your business if they feel that you are listening. That feeling of being listened to is one of the best beneﬁts of creating a platform to ask customers for ideas. Another context for soliciting customers’ ideas can be seen in the American Express Members Project. Rather than being asked for business ideas, card members were invited to submit ideas for charities that Amex could support. Members then discussed their ideas with other customers and voted for them online (again: submit, discuss, vote). American Express gave two million dollars to the winning charity in the ﬁrst year, and ﬁve million dollars total to the top ﬁve charities in the second year. Customers rallied around their favorite causes and spread word of the contest with photos and videos, as well as widgets and banners that they shared on Facebook and MySpace. Over two years, more than eight thousand charitable projects were submitted and more than half a million members registered to vote and participate. For the top-winning charities—a water puriﬁ cation program for rural children and an early detection education program for Alzheimer’s—the Members Project delivered both money and valuable publicity. For American Express, the beneﬁt to its brand was substantial, with hundreds of blog, print, and TV news articles and more than three million visitors to its Web site. The Members Project was the most recognizable campaign in the company’s recent history, with over 50 percent recognition among current and prospective card members. Amex’s “net promoter score”—the chance that a current customer would recommend the company to a friend—was lifted an amazing 85 percent. Employees can also be a valuable network to ask for ideas on improving your business. The U.S. government’s Transportation Security Administration uses an “IdeaFactory” much like Dell’s IdeaStorm to invite ideas from its forty-three thousand employees. Within its ﬁ rst year, more than forty-ﬁve hundred ideas were submitted on this non-public site, thirty-nine thousand comments posted, and about twenty ideas implemented as national policy. Cisco has used idea markets to generate employee ideas for new start-up ventures. The ideas that attract the highest “stock price” from the employee network are not always those that upper management thought were promising; instead, the market provides access to the wisdom of engineers and employees on the ground level. Cisco has used its idea market to pick several winning ideas to invest in through its Emerging Technologies Group. The employee who pro­poses a winning idea is given the option to lead the project. Motorola has used a similar idea market to sort through the thousands of ideas its employees submit to its ThinkTank system. The system generates ideas for new products and process innovations to improve productivity. Each idea starts at ten dollars a share, and each employee gets a virtual hundred thousand dollars to invest. The stock values of ideas rise as employees buy and sell shares. GE has developed a similar process for idea markets called the Imagination Market, which it uses to help answer such questions as “What new technology ideas should we be investing in?” and “What new products should we develop?” GE also licenses its own process to other organizations seeking to run idea markets in their own networks. One of the most powerful ways to strengthen your relationship with customer networks is to incorporate their own voices, stories, and opinions into the public voice and face of your organization. One way to do this is by tapping the content created by your customer networks for use in your marketing. Sprint created a great deal of excitement with its “Now Network” clock, the ﬁ rst advertise­ment on YouTube’s homepage to be built with user-generated content. Building on Sprint’s marketing campaign around its “Now Net­work,” the YouTube clock displayed the current time throughout the day with four digits culled from user video submissions to Sprint. For example, at 12:48, the four squares in the clock would show four dif­ferent videos in which users had represented the numbers 1, 2, 4, and 8. YouTube visitors who clicked on the “add yourself” button could upload videos of themselves depicting a number and hope to be added in the real-time ad as the minutes ticked by through the day. Thirteen million visitors saw the ad in its ﬁrst day, and it lived on as a widget on Sprint’s Now Network Web site. Sometimes your customers will be willing to produce the en­tire ad for you. Doritos has run contests in which customers create Doritos ads to run during the Super Bowl, the most expensive adver­tising slot of the year. While this might seem risky, the results have been more popular than many of the ads produced by agencies to plug other brands. In 2009, an ad dubbed “Free Doritos” created by two unemployed brothers was rated highest among all Super Bowl ads by USA Today’s Ad Meter poll. The same ad was the most talked about ad online, according to Zeta Interactive. A year later, the customer-made Doritos ad “Snack Attack Samurai” was the most viewed advertisement of all time.35 On a smaller scale, the March of Dimes charity has reached out to members of its online community, EveryBabyHasAStory.org, inviting members to create a virtual scrap­book out of videos and blogs. Community members submitted video advertisements telling their own story for a March of Dimes public service announcement to raise awareness of premature births. More than eighty ads were submitted, over three thousand votes were cast, and the winning ad was distributed on TV stations nationally. Networked customers are increasingly interested in each other’s stories (and less interested in advertising), so including the authentic voice of your customers in your own communications is a great connect strategy. If your organization is a media company or publisher, you can integrate the voice of the customer directly into your content and programming itself. This approach has been hugely successful for Nickelodeon’s television show iCarly, helping to make it the number-one television program in America for kids fourteen and younger (beating out American Idol and Hannah Montana). The show is a scripted comedy series about a teenage girl who runs her own Web TV show with her best friend and her neighbor. Their show-within­the-show features talent contests, interviews, and wacky comedy. In a television ﬁrst, it also features homemade videos submitted by the real-life viewing audience. Responding to requests within the program (“We need some dance videos!”), kids log on to the Web site iCarly. com to submit their own videos, hoping for a shot at being featured on television or on the Web site. While visiting the site, they can also read the characters’ blogs, post comments, and vote in polls. The con­cept was so eagerly received by the audience of digital kids that more than two thousand videos were uploaded and nearly forty thousand kids registered before the ﬁrst episode of the show had even aired. By its third season, iCarly was drawing twenty-six million viewers each week and had become the most watched cable television program on Saturday nights. Enabling the conversation within your customer networks can do more than just enrich your relationships and communications with customers. It can also add value to the core products and services that your business offers. By sharing their expertise and insight with one another, customers beneﬁt as they strengthen the community around your organization. One way they can do this is by answering one another’s ques­tions about your products and services. That is why Intuit created a user forum for its popular TurboTax tax preparation software. On every page of the program, while users are ﬁlling out their tax returns, they can pose questions and look up past answers on the TurboTax Live Community. Within only a few weeks of launching the community, one-third of the customer questions were being answered by other customers rather than by Intuit’s internal tax experts. That number soon reached 40 percent. Intuit also watched carefully to see what kinds of answers customers would provide. They were pleased to ﬁnd that users were providing accurate, relevant information and that the conversation was self-correcting: as users continued to discuss a topic, they reﬁned their answers to improve them. Having saved 40 percent on its customer support calls for TurboTax, Intuit went on to add a similar community for its popular QuickBooks accounting program for small businesses. In the Quick-Books live community, diehard users answer product-related questions. They also blog and post on general small-business issues, including offering local help to each other in ﬁnding a good lawyer, marketing coach, or accountant. Especially active community members choose to answer countless questions for fellow members. Michelle Long, an accountant in Lee’s Summit, Missouri, has posted more than 5,600 answers to questions on the forum. As in any user forum, the an­swers are searchable, so many more users have read and learned from Long than the 5,600 who posed the questions she answered. As a re­sult, Intuit has found that 90 percent of users are able to get their questions answered successfully on the community site rather than calling Intuit’s call center. Beyond that huge savings in customer ser­vice cost, the conversation in the QuickBooks community makes Intuit’s product much more useful for new customers. The strategy helps Intuit to sell over a million copies of the two-hundred-dollar software and boost its market share to 94 percent. Highly active customers like Michelle Long may have mul­tiple motivations for contributing so much time and expertise in a customer forum. For some, the psychic rewards of helping others, being thanked, and getting to demonstrate their knowledge are the primary motivator. For others, participating may offer a chance to net­work professionally and raise their proﬁle among a community that is important to their career. Business software company SAP has nearly two million members worldwide in its SAP Community Network. 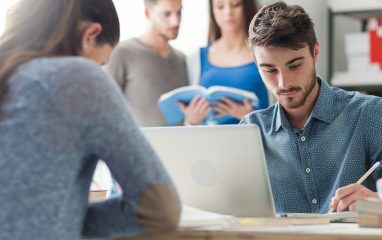 To encourage the customers who connect and share answers there, SAP established a Customer Recognition Program that awards points to customers based on their contributions, such as responding to forum questions, adding to a wiki page, or maintaining a blog. There is no direct compensation from SAP, but these points beneﬁt the network’s most active members—who are software developers, vendors, and in-dustry thought leaders—by communicating their reputation and expertise to others who may consider them for a job, a contract, or a sale. Similarly, Microsoft uses an MVP Award to recognize top contributors on its developer network, which spans ninety countries, thirty languages, and ninety Microsoft technologies. MVP’s include people like Yongguang Zhu, who has translated Microsoft articles into Chinese for other readers and helps organize a club for .NET developers; Mr. Tutang MM, a book editor in Indonesia who pub­lished an article on how laptop users can stay connected with Win­dows as they travel between work and home; and Deb Shinder, who wrote a blog post on how to enhance your productivity using the new “jumplists” feature in Windows 7. Enchiladas are not haute cuisine, nor is this a community of professional chefs, but Epicurious’s customers are passionate about food and love ﬁnding ways to improve or customize the recipes to suit their tastes. Whenever I make a recipe from the site, I start by reading the comments to ﬁnd additional ideas. When customers share this kind of passion and desire to connect and communicate about your product or service, make that conversation part of your offering. By harnessing your customers’ knowledge and willingness to share ideas, your business gains a layer of value that you would never be able to add on your own. The ways that customer networks connect—sharing ideas, opinions, votes, and links—will continue to evolve with new expressive technologies such as widespread mobile video, and new platforms, like the next Facebook or Twitter. One important trend will be how mobile and location-based technologies continue to merge the world of our online networks and connections with our ofﬂine ones. Social networking tools for mobile devices will allow us not only to share a thought as we hop out of a taxicab but to ﬁ nd out which members of our network happen to be nearby. Mobile social networking games like FourSquare already allow you to check which friends of yours have recently visited the bar you are walking into, and perhaps even check their drink recommendations. As connecting becomes more mobile, our digital networks may start to resemble Meetup, the Web site that helps nearly six mil­lion members organize local groups online to meet in real-world locations over shared interests, passions, or professional goals. Another area of rapid change will likely be in the extension of our “social graph” from networking sites to other digital experiences. The social graph (a term popularized by Facebook’s founder Mark Zuckerberg) is the web of relationships that we establish digitally within social networking services like Facebook or LinkedIn and contact lists like our email address book. Viewed as a literal map of all our connections, the social graph will yield many more possible applications beyond just communicating within a social networking site. Facebook Connect allows customers to transport their social graph from Facebook into partner Web sites or game consoles, adding a social dimension to them as well. I’ve used it to share articles with my Facebook friends while reading NYTimes.com or to ﬁnd out what music my friends are listening to on Pandora. Twitter is developing similar capabilities with its @anywhere initiative. Many developers believe that our social graphs should be freely portable, so that if you “friend” me on one service, that tie can be carried across any other Web site, or even another social networking service. MySpace, Ning, Orkut, and most other services have rallied around a shared open system called Open Social. But so far, Facebook, the eight-hundred­pound gorilla in the room, is keeping its data to itself. The prospect of incorporating our social graph into every other digital experience seems enticing. But the power of the social graph may be limited by the fact that a “link” within a social network can mean something very different to each of its hundreds of millions of users. Sometimes a “friend” is not quite a friend. This was revealed rather humorously by a Facebook advertising campaign started by Burger King in December 2008 called “Whopper Sacriﬁce.” The campaign consisted of a Facebook application that enticed customers to “sacriﬁce” ten Facebook friends in order to receive a coupon for one ﬂame-broiled Whopper burger. The user would open the application in Facebook, pick their friends to be sacriﬁced, and then watch their proﬁle images vanish in smoldering ﬂames while Facebook erased them from the user’s friends list—and sent the friends a message that they had been sacriﬁced for a shot at a burger coupon. Would you do that to a friend? Burger King customers did, sacriﬁcing nearly 224,000 “friendships” before Facebook disabled the application, canceling Burger King’s campaign only three weeks after it started. One area you can expect the social graph to be exploited is in advertisement targeting. Marketers have long known that their most effective ad dollars are those spent on existing customers, who are known to have an interest in their product. Beyond that, ﬁnding the right targets among the population of noncustomers has always been a challenge, as well as the goal of segmentation, media buying plans, and the zip code and street-level demographic analysis that drives modern political canvassing. A 2006 study by Shawndra Hill, Foster Provost, and Chris Volinsky found that the network “friends” of a company’s current customers may be three to ﬁve times more likely to respond to product advertising than the targets identiﬁed by traditional segmentation and targeting. It is not clear how much of this effect is attributable to word of mouth (customers actually discussing the product with their friends) versus homophily (customers choosing friends who have sim­ilar interests and likes), nor whether the impact would be quite as dramatic across different product categories. (The research was done with a large sample of customers for AT&T.) But you can expect to see advertisers try to put your social graph to work in choosing who to target with advertising in the near future. Media6Degrees licenses user information from social networking sites to help advertisers tar­get the friends of their customers. Companies like Lotame and 33Across are mapping social graphs by tracking the creators of user-generated content and the followers who consume it. MySpace is scraping information from the proﬁles of users to allow hypertarget­ing of ads across Web sites owned by its parent, News Corp., and Facebook will likely follow suit. The next wave of Web advertising may likely be based on mining social networks. The desire to connect—by sharing ideas, opinions, and social links— is at the heart of today’s customer networks. Whether your organiza­tion is a software maker, a media company, a coffee retailer, or a non­proﬁt charity, a connect strategy can help you grow closer to your customers by contributing to that digital conversation. This can be done by joining the conversation on large social media platforms or by providing a unique forum of your own for your customers to con­nect and share. The conversation in networks is already shaping businesses and deﬁning brands. By joining this conversation effectively, a connect strategy can yield customer insights; improve relationships with key customers; and build your brand image through improved customer service, positive word of mouth, and opportunities for cus­tomers to afﬁliate with your brand. Successful approaches to a connect strategy include: moni­toring and learning from online conversations already happening around your brand and industry; responding to issues, answering questions, and building relationships in existing online forums; creat­ing your own forum for customers to express views and connect with others; asking customers for their ideas on how to improve your busi­ness; integrating the voice of your customers into your own content and marketing; and letting the conversation among customers add additional value to your business. Companies should also remember to focus on their passion­ate customers—both passionate fans and disappointed critics. These will be the customers who are most actively discussing your business, the ones who will share the most ideas, and inﬂuence others, and the ones whom you might easily convert from critics to lifelong supporters by giving them a little respect and attention. Last, before you try to connect with customers in conversa­tion, be sure you know what’s in it for them. Whether it’s quicker service, answers to technical questions, a community of like-minded friends, special discounts and offers, or a shot at social media fame— there needs to be a clear reason for them to spend their time online connecting with you rather than with their friends, colleagues, and all the other brands and businesses that they know. Replicating the beneﬁts of a popular service that already exists doesn’t count. Even though you may be a great camera company, if your customers already use Flickr.com, they don’t need you to build them a photo-sharing site with your brand on it. Before you embark on a connect strategy, take a hard look at whatever you are offering and ask yourself: If I were the customer, would I join in? By helping customers connect with one another around what is most important to them, you can deepen your relationships with existing customers and build ties to valuable new ones. But sometimes networked customers want to do even more than express themselves, cast their vote, and put their ideas out into the world. On the things that matter most to them, they want to work with others. They want to join together toward shared goals. They want to collaborate in an ongoing fashion and feel that they are a part of something larger than themselves. The deepest connection that a business or organization can have with its customer networks is built on this desire to collaborate. To tap into it requires a full knowledge of how, when, and why customers contribute so much of themselves to the work of their network. 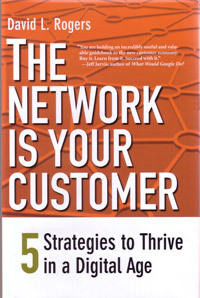 Excerpted from The Network Is Your Customer: 5 Strategies to Thrive in a Digital Age, by David L. Rogers, published January 2010 by Yale University Press. Copyright 2010 by David L. Rogers. Reprinted by permission of Yale University Press.